Eating a healthy dinner can be a challenge. After a long day at work, it’s so easy to reach for comfort foods or our favorite savory meal, but it may not be the most healthy option. Planning ahead and researching recipes can help you to have a variety of options that fit into the plan you’ve created to reach your weight loss goals. 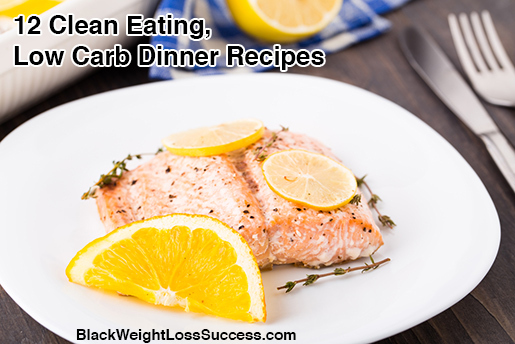 Here are 12 dinner ideas that are great for eating clean, but are also on the low carb side.